Johann Philipp Reis (German: [ʁaɪs]; January 7, 1834 – January 14, 1874) was a self-taught German scientist and inventor. In 1861, he constructed the first make-and-break telephone, today called the Reis telephone. ^ "GEDBAS: Ancestors of Johann Philipp REIS". gedbas.genealogy.net. Retrieved 18 March 2018. ^ "Deutsche Biographie, Fehler". www.deutsche-biographie.de. Retrieved 17 April 2018. ^ Thompson, Silvanus Phillips (18 March 1883). "Philipp Reis: Inventor of the Telephone: A Biographical Sketch, with Documentary Testimony, Translations of the Original Papers of the Inventor and Contemporary Publications". E. & F.N. Spon. Retrieved 18 March 2018 – via Google Books. ^ a b "Bell 'did not invent telephone'". BBC NEWS - Science/Nature. 1 December 2003. Retrieved 26 February 2011. ^ a b Thompson, Silvanus Phillips (1883). Philipp Reis: inventor of the telephone: A biographical sketch, with documentary testimony, translations of the original papers of the inventor and contemporary publications. London, New York: E. & F.N. Spon. p. 182. The year 1834 in science and technology involved some significant events, listed below. Events in the year 1874 in Germany. The year 1874 in science and technology involved some significant events, listed below. Alexander Raake (born in Düsseldorf in 1971) is a professor heading the Audiovisual Technology Group at Technische Universität Ilmenau since 2015. Friedrichsdorf is a town of the Hochtaunuskreis, some 20 km (12 mi) north of Frankfurt am Main in Hesse, Germany. Gelnhausen is a town and the capital of the Main-Kinzig-Kreis, in Hesse, Germany. It is located approximately 40 kilometers east of Frankfurt am Main, between the Vogelsberg mountains and the Spessart range at the river Kinzig. It is one of the eleven towns (urban municipalities) in the district. Gelnhausen has around 22,000 inhabitants. Reis is a common surname in the Portuguese language, namely in Portugal and Brazil. It was originally a Christian devotional family name of the Middle Ages, probably due to the Portuguese name for the Biblical Magi, the Reis Magos (the Magi Kings). Sometimes the surname is dos Reis (of the Kings). The Reis surname does not denote a single genealogical origin and there are many families bearing that surname. The Reis etymology is probably from the Latin Rex ("King"), and it is noticeable that it has relations with the German Reich ("Kingdom, Empire"), and the Dutch Rijk (also "Kingdom, Empire"), the Germanic names Rick, Rich, Richard, etc. The Spanish version of this surname is Reyes. Reis is also a common surname in the German language (where its alternative meaning is "rice"), a historically famous epithet derived from military rank in Turkey (e.g., Piri Reis), and was also used by some European Jews. 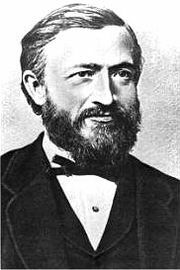 The Reis telephone was an invention named after Philipp Reis of a telephonelike device he constructed. Reis's first successful work is dated to October 1861. Sebastian Möller (born 1968) is an expert for voice technology. is the R&D unit of Deutsche Telekom and is in a close partnership with the Technische Universität Berlin. Here, at T-Labs, more than 300 international experts and scientists work together on blockchain technology, smart city concepts, artificial intelligence and new media experiences. At its sites in Berlin, Darmstadt, Budapest, Be'er Sheva (Israel) and Vienna, T-Labs sits amongst a world-class host of universities, startups, investors, research institutes and corporate innovation hubs to jointly shape the future of communication services. T-Labs are working since 2006 in close cooperation with the Ben-Gurion University of the Negev and other universities, such as the Berlin University of the Arts, the Eötvös Loránd University in Budapest, and the TU Wien (Austria).